Do you think the Turtle Warriors appearing in the Blue Door script https://archive.org/stream/pdfy-EqA_...cript_djvu.txt have any potentional for teaming up with the turtles in upcoming versions, as long as they have no connection to the backstories of the Teenage Mutant Ninja Turtles and Splinter? 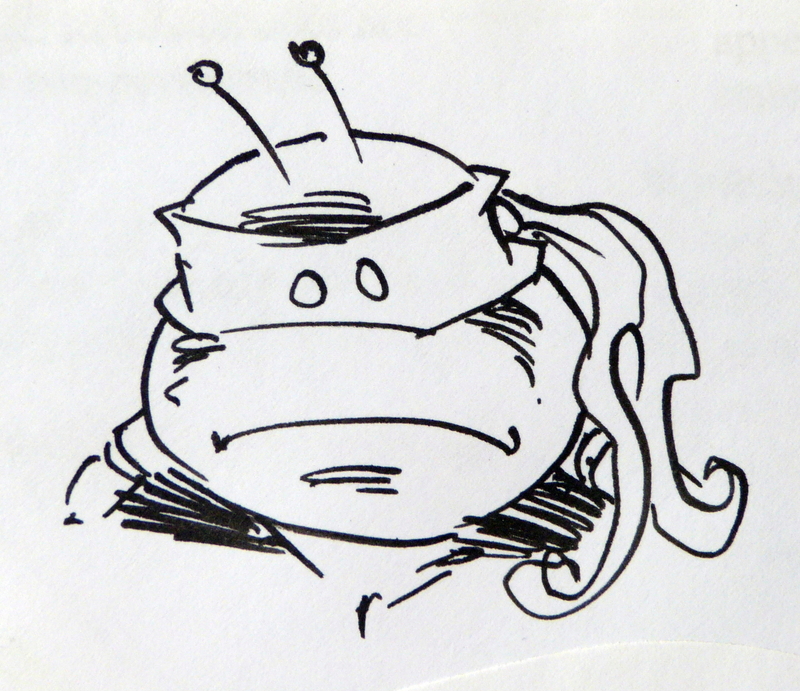 Remember that the turtles are special on Earth, the Turtle Warriors are of a species on a planet in Dimension X. I can see that, if the "Planet of the Turtles" appears again in some later versions. Last edited by Original TMNT Cartoon Fan; 05-06-2017 at 08:35 AM. This was a sketchy idea to begin with. I'd say if you had to use them,reuse the planet of the turtles from the OT, and make slash one of them, along with any other turtle anthros you need to use. Well, Laird's interpretation of them is great. But joking aside, this whole script seemed like an awful idea. The final movie, reshoots and all, was a better than this. Even the second movie, as much as it made my blood boil, is better than this script. It's like they watched the first season of the Fred Wolf cartoon, sucked out any identity it had and replaced it with every sci-fi action movie cliché in the book. The result is something so far off from the original comics (or even the FW cartoon) I can't honestly connect to TMNT. wears his trademark PURPLE MOHAWK and SLOTTED SHADES. the force of them, giving Schrader the upper hand. . .
wraps around his head, which is covered in PALE YELLOW SKIN. So Shredder is not a ninja, not wearing an outfit that resembles his classic design and his fake human identity isn't even named Oroku Saki or something similar. He's some creature vaguely described as being covered in blades and very little else connecting him to any previous version of the Shredder. Why isn't he just Traag? That would make more sense. Yet in all of this, Bebop and Rocksteady look like they're supposed to? What makes them so damn sacred? Yes! Slash could very easily be one of among those I'd like to see as aliens. Maybe take a cue from Nick as well and make him the leader of that alien group. Either Slash, or those two professional wrestlers from the Planet of the Turtles. Heck, we could have one be a manipulator of the Turtles, making them believe in a false destiny, trying to lead them to their side. Maybe they could meet counterparts of themselves, which underwent a mutation themselves... combining the Dark & Super Turtles together, their mutation may have turned them more primal on top of their superpowers, making them a hinderance as much as they are an ally. They'd not be an actual alien race per se, but rather, the mutated forms of non-sapient alien turtles, of whom the manipulator is willingly in denial of. Perhaps this is why the Neutrinos take such a liking to them?